Some of my readers may recall that I have a thing for meatloaf. Well, it’s been a while since my last meatloaf post, so here we go (again). 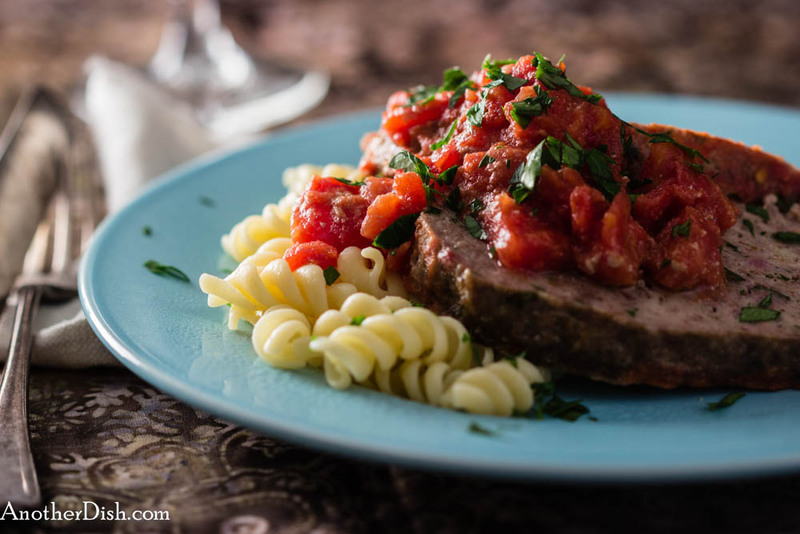 This fantastic version comes from central Italy — its ingredients are simple, but make for a delicious meatloaf and sauce! Really easy to prepare — hope you’ll try it out! Drain milk from bread, squeezing out excess liquid. Combine bread and next 8 ingredients (ground beef through black pepper) in a large bowl. Mix well with hands. Coat lidded casserole with cooking spray. Add meat mixture to casserole and form into a 10-inch x 5-inch loaf. Combine tomatoes and wine, together with a pinch of additional salt in a bowl. Pour tomato mixture around loaf. Cover, place in oven and bake 20 minutes. Uncover and bake an additional 45 minutes. Remove casserole from oven and let stand, uncovered, for 15 minutes. 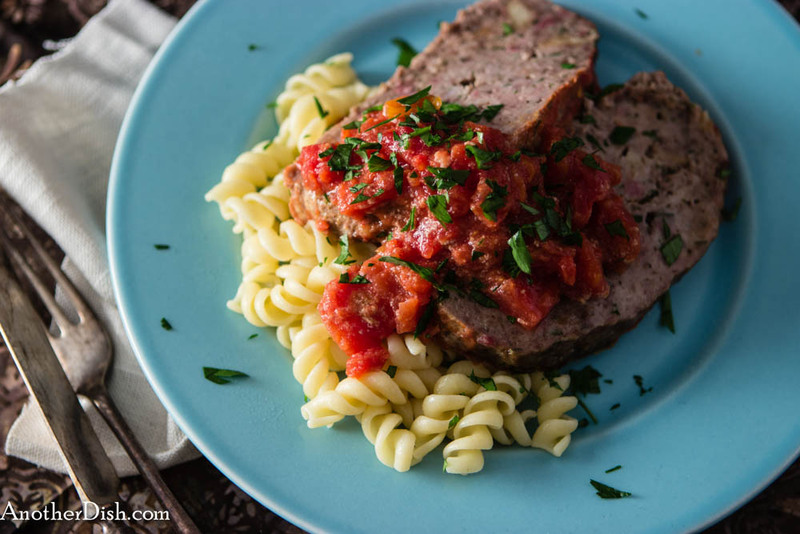 Slice meatloaf in casserole into 1-inch slices. Serve with hot pasta. This entry was posted in Beef, Comfort Food, Italian, Main Dishes, Pastas and Grains, Pork and tagged Comfort Food, Cooking, Food, Food Photography, Foodie, Italian Food, Meatloaf, Recipes on May 18, 2014 by AnotherDish.